Badass, bold and downright ballsy! We put the call out in the last issue of Outsider for you, our readers, to let us know about the most amazing men and women from the Irish outdoor and adventure scene in 2018! And you didn’t let us down. We were bowled over by both the quality and quantity of the stories you sent us. 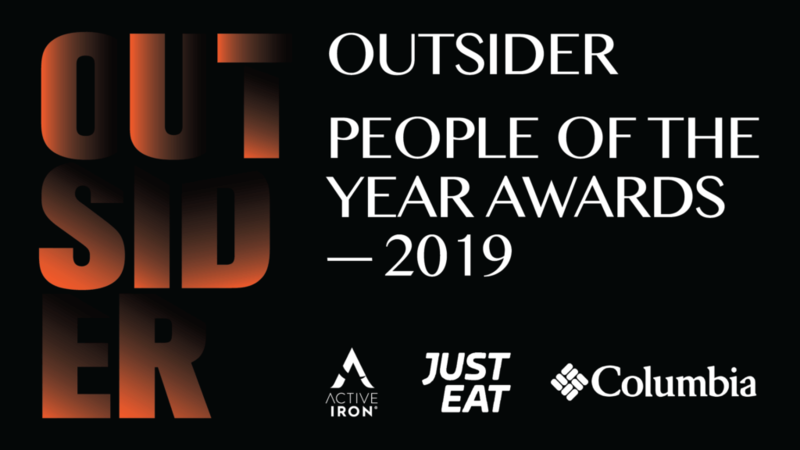 So sit down, make yourself comfortable and read the spine-tingling and inspirational stories of these extraordinary people who are now officially on the long list of nominees for the #OutsiderAwards. If you’re a nominee, consider yourself cordially invited to our sixth annual awards ceremony on the evening of Wednesday 30 January 2019 in the Sugar Club, Dublin. We are thrilled skinny to announce that our fab title sponsors Just Eat, Columbia Sportswear and Active Iron are on board to help us celebrate all that is great and good about the Irish adventure scene, so it’s guaranteed to be a good party. You can buy tickets here. You can vote for the above by scrolling to the bottom of the article! The following six legends are our nominees for the Outsider Most Devoted Individual Award. “When you breathe the same air as this humble, warm, giant of a man, everything seems possible and life’s grey moments are swept away with an irresistible gasp of laughter and surprise. He inspires you, he challenges you and he minds you. I’m forever glad for being taken by the hand into the Irish Sea, inspired to swim the Liffey and the Lee, cheered on for a stormy Spike Island swim and joined for the highest swim in Ireland. But most of all I’m forever glad to have found a friend called Fergal,” says Teena Gates, a friend of open-water swimming guru Fergal Sommerville. Hailing from Beaumont in Dublin, Fergal (55) is well-known in the Irish open water swimming community. 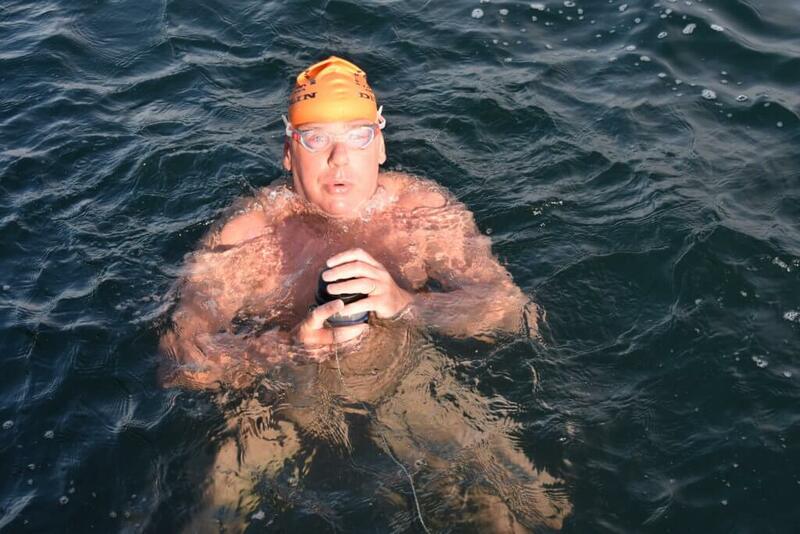 He has swum both the English Channel and the North Channel, has completed several marathon swims, seven international ice-mile swims and annually swims 1,000,000m; that’s the equivalent of swimming from Cork to Dublin, four times. But aside from all of that, Fergal goes above and beyond to help others. There’s nothing solo about a solo swim, you get a lot of help from a lot of people and you have to reciprocate that or pass it on. “When I stood on the stones at the back of Dover pier to start my English Channel, I was just terrified. I had a very dark day that day. Reflecting on it afterwards, I thought if I had of known what to expect before I got into the water, I could have turned it into a much more positive experience. So we set up the group (the Dublin Distance Dippers) to help people increase their swim distances and prep them for the Channel. “I also organise the international Ice Mile swim in Lough Dan, Co Wicklow, every February. For an Ice mile, the water temperature has to be 5°C or less and it’s done in just hat, togs and goggles. It’s the biggest ice mile swim event in the world. 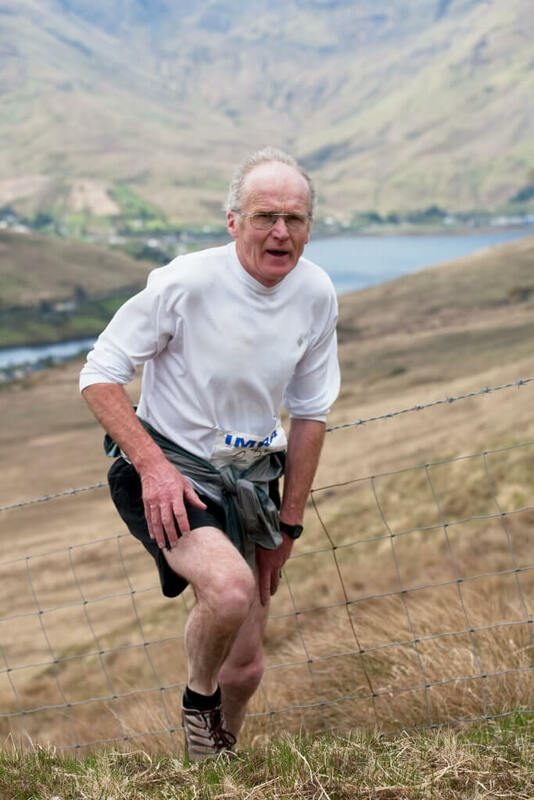 Sligo-based Richard Thorn (63) is not known for winning races or scaling the highest mountains – but he has been a stalwart on the Irish outdoor scene for many decades. One that has been quietly beavering away behind the scenes. Ever since he graduated from Trinity in 1978 in earth sciences and in 1983 with a PhD in environmental science, Richard has worked tirelessly to ensure that outdoor and environmental education flourishes in this country. In the late ‘80s, Richard implemented Ireland’s first masters degree programme in environmental protection at IT Sligo. He then organised the very first environmental researchers colloquium at the university as well. Turning his sights to the Galway-Mayo Institute of Technology around 1996, Richard established the country’s first undergraduate degree in Outdoor Education, determined to educate the outdoor/adventure sector on how to succeed in business and sustainability. We wanted to build a degree that not only brought people up to scratch with adventure sports in terms of their ability to lead and instruct, but also their ability to understand the business. “We saw the opportunity, having visited a number of universities and we looked at the roll of outdoor education. We looked at the link between learning and students, personal growth and development. So the degree, as originally envisioned, was the adventure side of it, the business side of it, and the education side of it,” says Richard. Richard also nurtured his own outdoor passion. 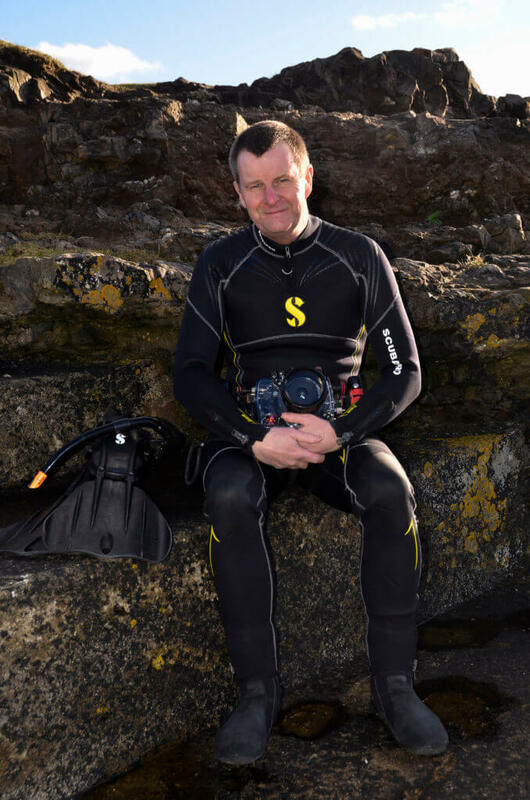 When he moved to Sligo in the ’80s, he love of the sea flourished and from there he became a certified diving instructor. Highlights of this love include dives on the Great Barrier Reef, between the tectonic plates of Iceland and many, many off the stunning west coast of Ireland. 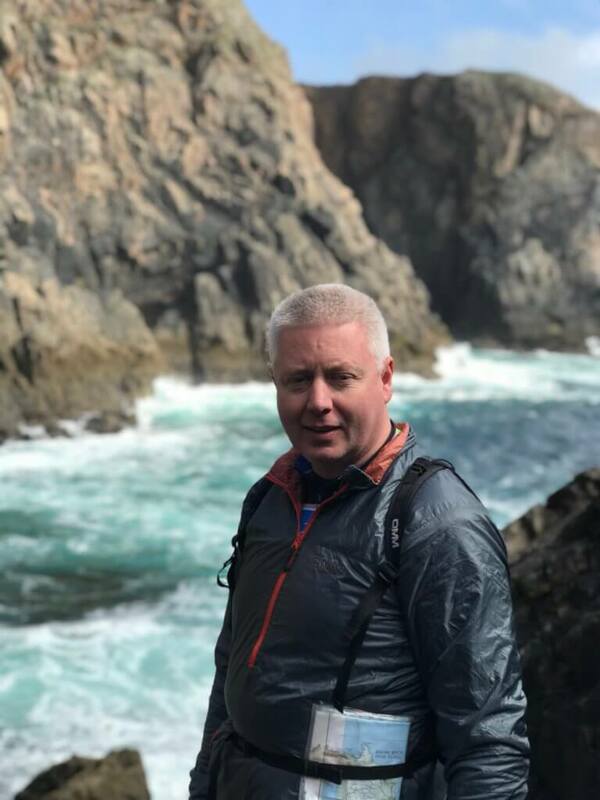 As well as his official work in Ireland’s education sector, Richard was also President of the Irish Underwater Council, Chair of Leave No Trace Ireland and Chair of Blueway Group Ireland. And, in his free time, he actively mentors undergraduates, graduates and those involved in promoting the outdoors and the conservation of our environment. “If I’ve helped to develop individuals who have good appropriate values, who can take up leadership roles, then I’ve got my job done,” says Richard. “Joe Lalor is a man known for getting out on the mountain, getting dirty on the mountain and giving back to the mountain,” says fellow Irish ultra-runner Richard Nunan. “I came into trail running through orienteering. An orienteering friend of mine was going up Croagh Patrick and I said, ‘You can’t run up that,’ and he said that people do it all of the time. So I gave it a go, but I thought there is no way I’m running down it,” says Joe. And I found running down it the most exhilarating thing ever, and from then on in, I was hooked. “I ended up as secretary of IMRA and I used to get an awful lot of requests from UK trail runners asking was there a Round in Ireland. The Bob Graham Round was a big deal in the UK. I always answered no. I got to thinking, well, ‘Why isn’t there?’ So myself and another chap Brian Bell set up the Wicklow Round. “Prior to that, I set up the Wicklow Way Relay. We were looking for an idea for a fundraiser and I came up with it. There were four people at the initial discussion and none of them encouraged me; they all told me it wouldn’t work. The first year, 28 teams signed up. I ended up running it for 12 years and it’s still going. One of the most intriguing, historically significant and arguably one of the hardest ultra marathons out there is the Spartathlon. 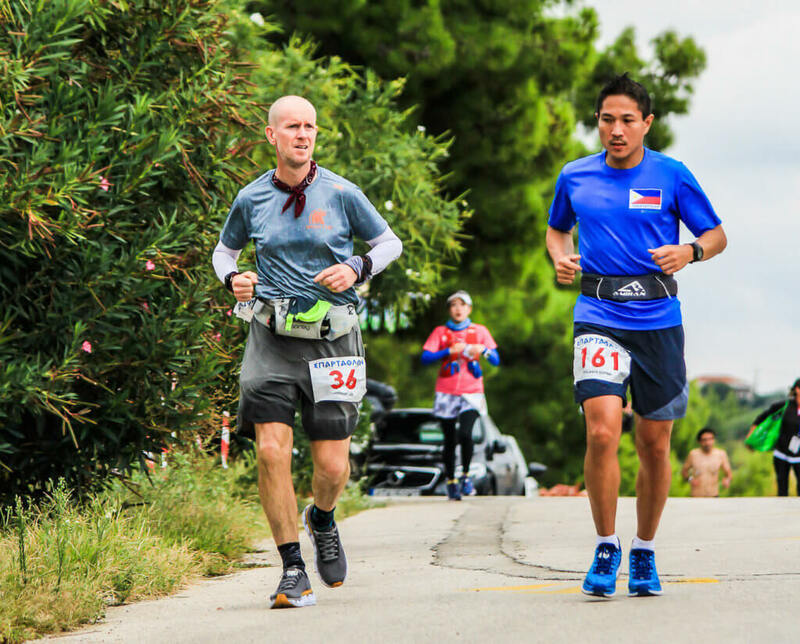 This 250km non-stop Greek ultra, with cut offs every 5km, retraces the steps of Pheidippides, an ancient Athenian long-distance runner, who in 490BC was sent to Sparta to ask for help in the war that the Greeks waged with the Persians. Anthony Lee, or Anto as he’s known, is one of the select few Irish people that has completed this iconic race more than once. The race is a pure race; there are no prizes. It’s the pinnacle of ultra-running, in my own opinion. In 2018, the race tested participants even more than usual. Ivan Park (47) from Co Antrim has organised both the Beast Expedition Adventure Race and the Causeway Coast Adventure series for more than a decade now. He is also the man that brought the European Adventure Racing Championship to Ireland back in 2015. And basically, if it wasn’t for him and a handful of others, we would not have such a thriving adventure racing scene in Ireland today. “Back in 2013, the Beast became part of the European Adventure Series and we put in a bid to host the finals in 2015 and we got it. We had 54 four-person teams compete. That particular year, it was largest event of that kind anywhere in the world,” said Ivan. And just why does Ivan work so hard the adventure racing scene? Because he feels it adds something to people’s lives. I was quite happy organising them. I thought it was a good sport to try and get people involved in. Standing at the finish line of all of these races and seeing those happy faces coming in is kind of what it’s all about for me. Ever since the Julie Doyle got a taste of the rhythmic, rigorous flow of dragon boating when she was 19, she couldn’t get enough. So when she moved from her native England to Ireland in the early 90s and found her beloved sport neglected, she knew she would have to change that. 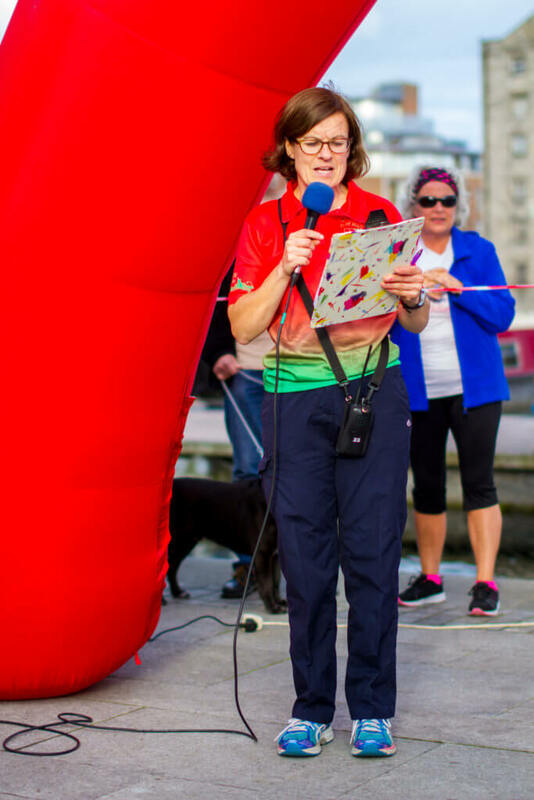 And so through the noughties, Julie (now 46), poured all of her energy into revamping and reorganising the Irish Dragon Boat Association. Roll on to 2018 and there are now 14 dragon boating clubs around Ireland, and three more clubs due to be established in 2019. The Irish dragon boating scene is now utterly transformed. Julie, who now lives in Carlow, now manages the Irish Senior Women’s team while her husband is the coach. At their first international match two years ago, the Irish Senior Women’s Dragon Boating team took home a bronze medal. A silver medal followed at the European Nations Championships in Rome in July 2016, proving that Ireland was a competitive force in the dragon boating world. And in 2018, the women’s team took home a whopping four silver medals at the European Championships. Dragon boating is not about individuals. It is the team that produce the results. I was extremely proud that the hard work on both sides had paid off with the desired results. Julie also coaches the Plurabelle Paddlers, a dragon boating team based in Dublin whose team members have either been diagnosed with breast cancer or are breast cancer survivors. They compete in order to raise awareness of breast cancer.